If you asked Hitman fans what's their favorite Hitman game, I would bet that a lot of them wouldn't say Absolution. I know a lot of people complained about Absolution and felt it was way too straightforward with not much room for improvisation. This I agree with, but this new Hitman combines the exploration of the older Hitman games with some of the new features introduced in Absolution. You still have a focus mode which slows down time and highlights where certain targets are, and there is a map, which honestly didn't help that much as it's a cluttered mess with all the non-player characters showing up on it. This game, however, feels a lot more like the older Hitman games. While I only played two levels, it seems like this could provide the stealth and fun that Hitman fans have been waiting for a while. The first mission involved me having to eliminate my target on a booze cruise party ship. Right from the beginning of the level I was denied access to the boat from the most direct approach, the front entrance. So, if I want to go that way, I have to find a disguise. Luckily, there is an unsuspecting construction worker nearby, so I take him out and steal his clothes. Once I get onto the ship, I immediately notice the huge number of people on board. There are people chilling out, having conversations, getting drunk, dancing and so forth, so I really need to think about how I'm going to approach this without being seen. This level does seem like a pretty big tutorial, so it pretty much holds my hand throughout the whole thing and tells me exactly where to go and what to do. Eventually, I get my target alone and eliminate him with a single silenced bullet to the head. I make my escape without being seen. Seems easy enough, but now the fun really begins. The second part of the beta is the same level with the same target and objective--but this time, I am able to get creative. Each level has a variety of challenges to complete, which usually involve killing your target in creative ways. It can be a simple bullet to the head, poisoning the target with rat poison, or explosions and other unfortunate "accidents." This time I decide to knock out a police officer and sneak around the back of the ship. This is where I find the rat poison. Unfortunately, my disguise doesn't help that much when I make it to the upper levels of the ship, since the police officers can see right through my disguise. If this happens, the person that spots me will be suspicious and chase after me. I can get away before they catch me, but they will put everyone on alert and I will need to find a new disguise before moving forward. At this point, I manage to get a disguise as one of the crew members. With this I make it onto the top floor of the ship, which is the VIP section, and disguise myself as someone working behind a bar. I wait for the target to arrive, slip some rat poison in his drink, which then sends him to throw up in the bathroom. I then drown him in the toilet he was throwing up in. Lovely. I make my escape undetected and the mission is over. This, of course, is just one of the many ways that you can execute a target on that level alone. The next level takes place on a military base, and, with it, brings some new challenges and ways to take out a target. This time, I disguise myself as a security guard and sneak into the base. This is when I see crew members working on a jet. The crew members tell me that we need to bring the target in for a mandatory "safety" check. Hmm. After disguising myself as a crew member and picking up a wrench, I tinker with the jet's ejection system. After talking to the target, I lead him to the jet where the safety check begins. Seconds later, he is launched into the sky due to a faulty ejection system. The weird thing about this is that everyone else in the area, crew and guards included, just go about their business as if nothing happened. 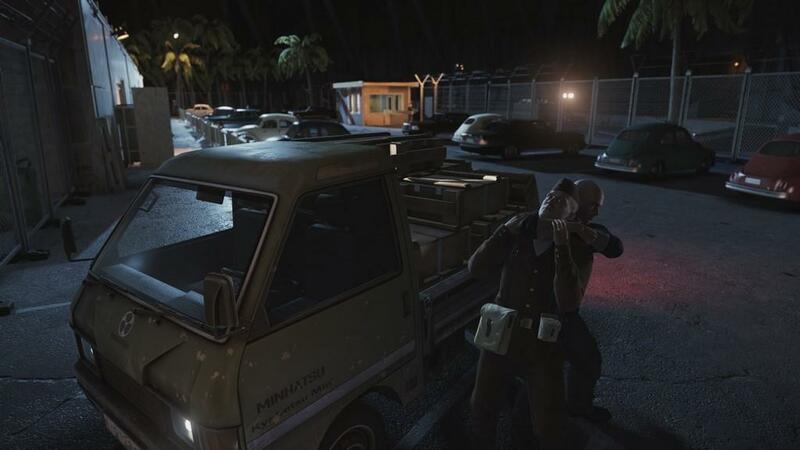 Hitman looks like it provides plenty of ways to eliminate your targets. I am somewhat worried, though. I know this is just a beta, but with the release of the game so close, I worry that certain problems may not be fixed by then. The biggest problem is with the constant frame rate fluctuations. I assume this is due to the huge number of characters on screen at once, and this happens when you get near the bars where a ton of characters hang out. Just for fun, I want to see what happens if I set off a bomb in one of these highly populated areas. As soon as the bomb blows up, I think I'm watching a slide show, as the frame rate drops to almost nothing. It recovers soon enough, but should we really be getting frame rate drops like this so close to launch? Now to be fair, this happens on the ship level, but isn't as bad in the military base; I assume that is because that level isn't as heavily as populated. I just really hope that these issues are ironed out when the game launches next month. 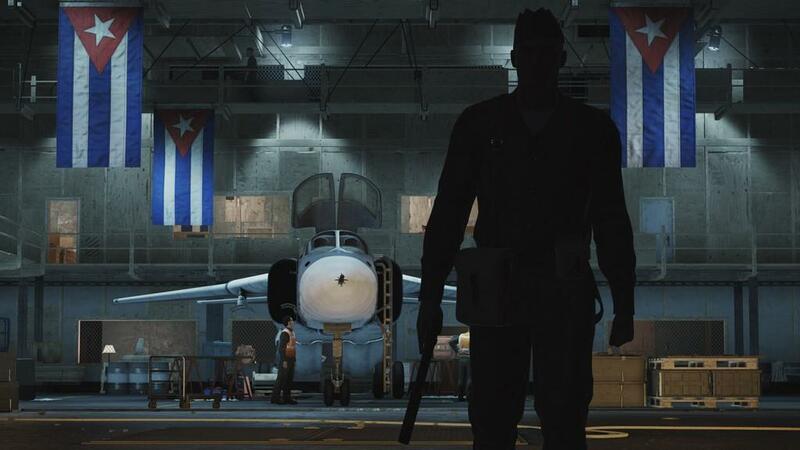 Hitman looks like it will bring back a lot of the stealth and exploration that Hitman fans are missing in Absolution, which is more of a straightforward game rather than one based on exploration, stealth, and patience. There are plenty of ways to take out your target here, and it looks like every level is a playground for you to screw around with and replay a bunch of times to complete all of the challenges. Granted, I have only seen two levels, but I am excited to see what kind of environments the full game shows off at launch.